"Microsoft Represents New OS Windows 8"
The new OS has more than its share of rough edges, and the new “modern shell” is disorienting—at least initially. 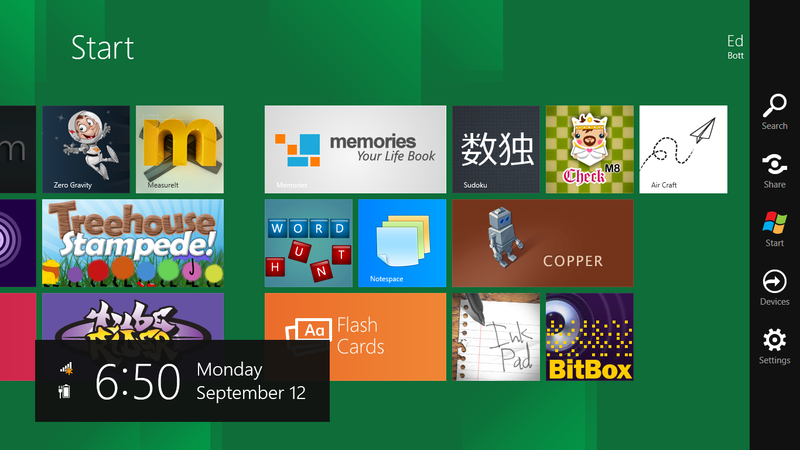 If you think you know what to expect from Windows 8, just wait till you get your hands on it. Although you can use Windows 8 with a mouse and keyboard, it’s at its best on a touchscreen-equipped tablet like the one I tested. The form factor is thin, but this compact PC is no lightweight; there’s a fully loaded PC under the hood, with an i5 processor, 4 GB of RAM, and a speedy solid-state drive. With a screen resolution of 1366 by 768, it’s capable of playing high-definition videos and meets the minimum spec to arrange two of the new Metro-style apps side-by-side. 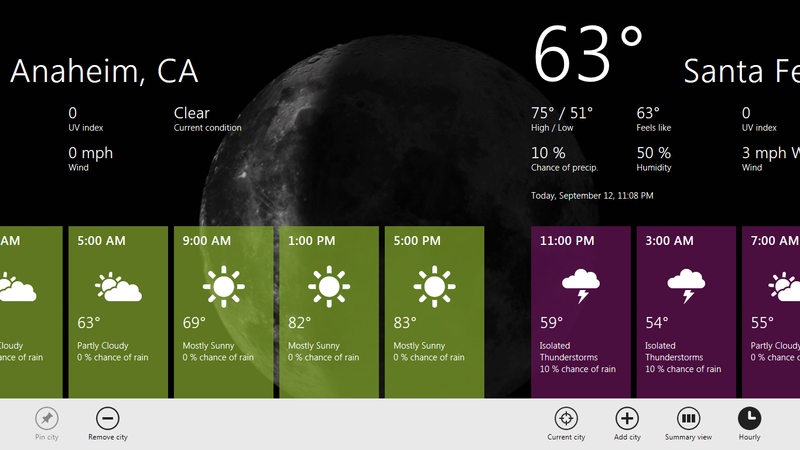 Microsoft’s Windows 8 developer conference kicks off on yesterday(sep,13th). Here’s a cheat sheet of what we now know and don’t going into the four-day confab. 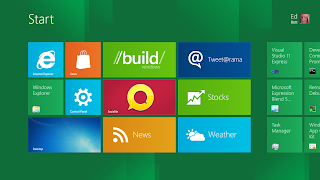 Windows 8 will work on any PC that can run Windows 7: Whether it is a touch-enabled device or not. Windows 8 still supports stylus/digital ink and voice-input: Even though it is “touch-centric,” Windows 8 will enable user input using keyboards and mice. The pen is optional and not a requirement. The user experience default is the tile interface : That looks and feels a lot like the Windows Phone one. 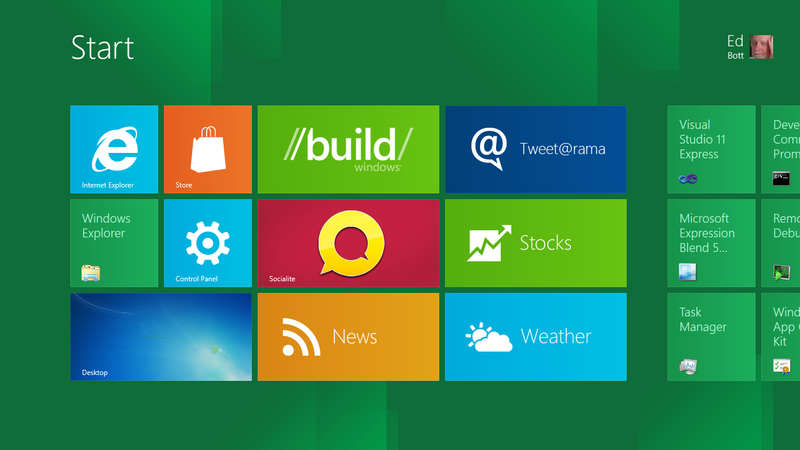 The “legacy”/desktop experience is accessed via a Desktop tile on users’ Windows 8 systems. 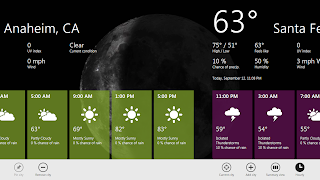 There are not two different Windows 8 “modes” or user interfaces. The tile interface is the only interface and the “classic” interface is available as an application. There’s going to be a Windows Store: that will be populated with new Metro-style apps, alongside existing desktop apps. In the store, some apps will be directly downloadable; others will be links that redirect to app developers’ own sites for download. Microsoft is adding new/more HTML5 tooling: support to Visual Studio “11″ (a k a Visual Studio 2012) and the coming version of its Expression Blend design tool. Microsoft will make Windows 8 available on a USB stick: This new “Windows to Go” capability, rumored for years, is aimed at business users who need to deploy Windows 8 on numerous PCs. Whether Windows 8 will feature built-in Kinect integration: Microsoft is set to talk about new kinds of sensors that Windows 8 will support (ambient-light sensing, etc.) but no word going into the keynote whether Kinect integration will be baked in from the get-go. What’s coming with Windows Live Wave 5: The set of consumer services designed to complement Windows 8. Beyond the fact that there are next-generation Mail, Calendar, Photo, People (Messaging) and SkyDrive applications/services, we don’t know much of anything. Keep up the good work, I read few posts on this site and I think that your site is really interesting and has sets of excellent info.